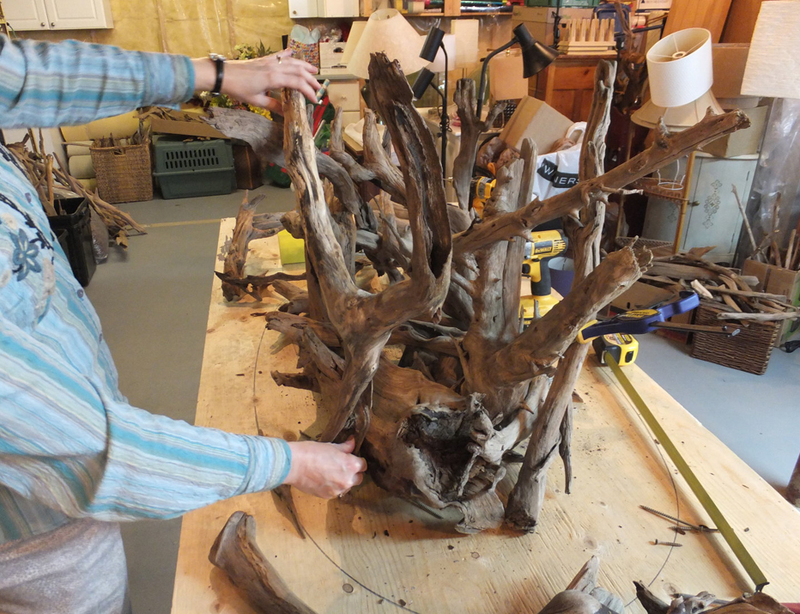 Driftwood collecting is our passion! We specialize in creating unique home decor products. The wood is carefully selected, collected, powerwashed and dried before anything is made with it. We take our work seriously. We can make products to your specifications. Visit our products page to view the creations we have in stock for you. Curious about our past creations? Visit our past creations photo gallery. Purchased two bedside reading lamps. I chose the lamps amongst the inventory available. The lamps look even nicer in person. 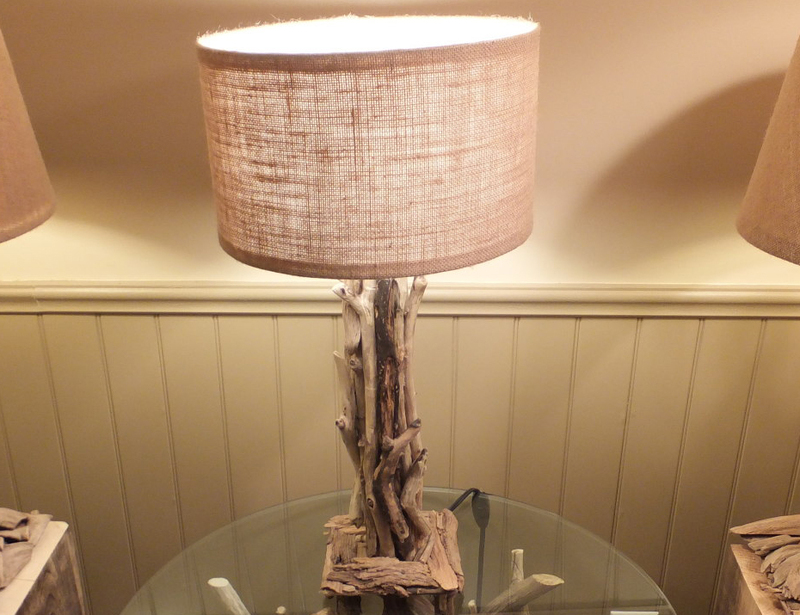 There was a good selection and I found the pieces of driftwood chosen to make the lamps had nice texture and interesting coloring. I`ve had the lamps for two years now and they still work great. The lamp shade covered in burlap provides warm light, perfect for reading. I liked the lamps so much that I decided to buy a picture frame. The frame is very sturdy and makes for a really nice accent piece in my otherwise modern living room. 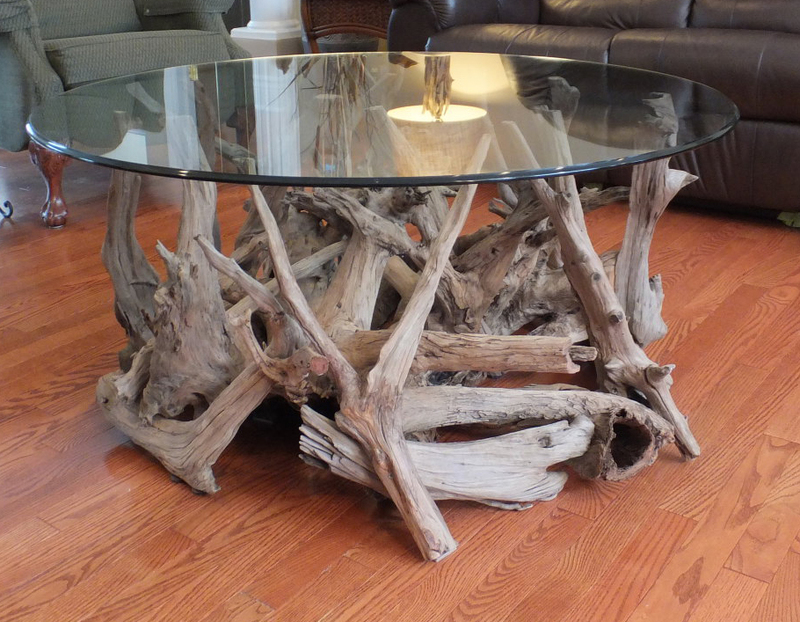 Overall I’m very happy with the purchases and would recommend them for driftwood products. Do not hesitate to drop us a line or two. Any question you may have, it will be our pleasure to answer you.